We are thrilled to welcome our friends at Under One Tent to the Street Feast community and are very excited about Saturday night’s Open Iftar Street Feast in Dublin. Under One Tent is a community project that aims to bring together people of all faiths and the community as a whole. This is the second year the project is running where the Open Iftar invites the homeless and general public to break fast together at sunset during the holy month of Ramadan. 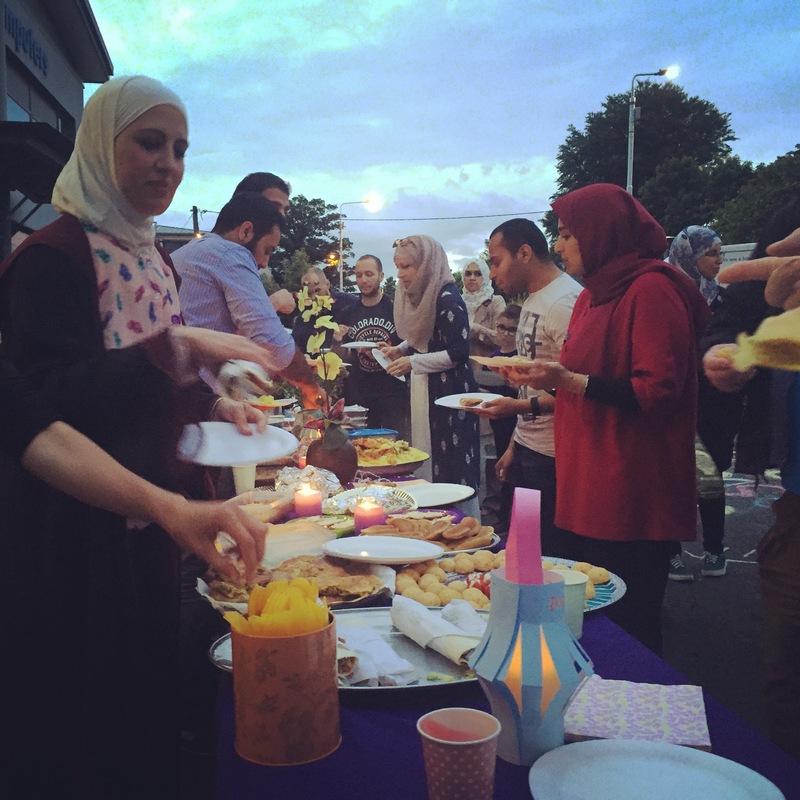 Through sharing meals and connecting with neighbours, they share the Ramadan spirit and sense of community with everyone. Under One Tent celebrations commence at 7.30pm this weekend, the 9th, 10th and 11th of June, in St Patrick’s Park, Dublin. Free food, drinks, games, bouncy castles and inspiring talks are all on offer thanks to the hard working team. Street Feast are proud to join forces and look forward to seeing you all down there on Saturday night for a very special Open Iftar Street Feast celebration. Bring your cat, your pet carrot and your imaginary friend, everyone is invited.